This review was first published on IMDB on october 8th 2015, read it here. 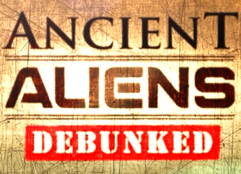 Watching Ancient Aliens Debunked, the 2012 response to the popular series about the “ancient astronaut theory”, is like visiting a Wikipedia page for a paper. As actual scientific inquiry, it doesn’t fully hold up, but the film does a really good job at supplying you with the proper resources and directions you need to do your own research (check out the website), or entertain you if you just want to see some decent bashing of the popular series. As the latter, it’s not that spectacular for the full three hours. It’s a long sit, and although some sections hold up fine as pieces of documentary, watching the whole thing in one go does get pretty boring. It seems unfair to judge it for this, however, because unlike Ancient Aliens itself, it is nobly devoted to the truth, boring as it may be. This review was first published on IMDB on october 6th 2015, read it here. Documentaries about supposed real world monsters usually have a hard time achieving any credibility, at least for critical audiences. The MonsterQuest series, for example, has attempted to show a great variety of monsters to the world (including Bigfoot), but could never take off from a somewhat amateuristic approach, and rarely shows the whole picture. In the case of Bigfoot, this Definitive Guide does a much better job than many earlier documentaries on the subject. For a start, the experts are actual experts. Anna Nekaris, Bill Sellers, Ian Redmond, Jack Rink and Jeff Meldrum are all credible scientists with the ability to see through the fake evidence. Getting together five, rather than two or three was a good thing, making sure the opinion of one or two is well balanced by those of the others. Secondly, the re-enactments of Bigfoot encounters have been given plenty of attention, and include a convincing Bigfoot, even up close. And finally, the team looks at pretty much all the big evidence and theories available, so their reasoning is quite convincing, quite easy to follow and answers pretty much all the questions most people will have about Bigfoot, even its relation to the Florida Skunk Ape and the Asian Yeti. Whether the findings of the team are actually scientific is still hard to say for the average viewer, especially since their analysis of possible evolutionary explanations for Bigfoot, their analysis of its feeding and mating needs, et cetera are highly speculative. 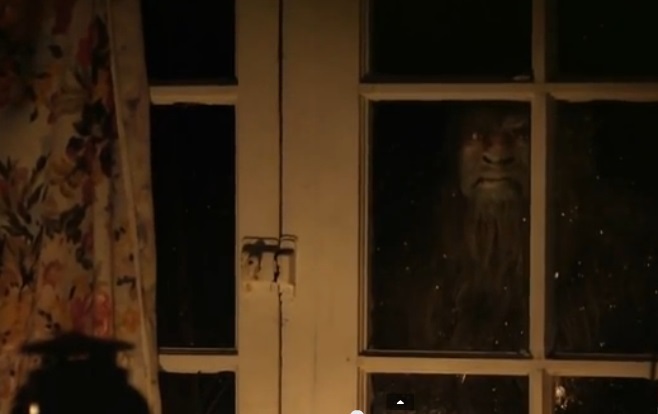 But whether considering the possibility of Sasquatch being a descendant from apes or the possibility of it being much more man-like, the team as well as the narrator approach the subject with more caution, less lust for sensation and with much more reason than many other documentaries on similar mysterious topics. It hasn’t gotten us any closer to actual proof of its existence, but until that is found, this guide can be confidently be called “definitive”.